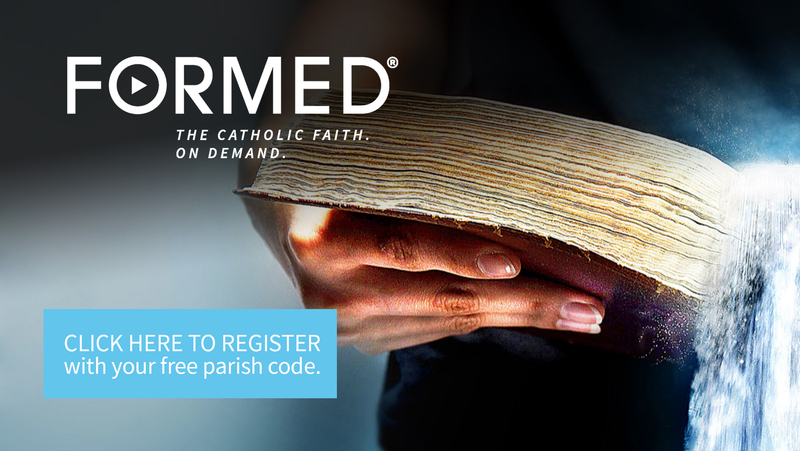 FORMED is an exciting new platform to access outstanding Catholic videos, audio, and eBooks for parishioners of all ages. Produced by Augustine Institute and Ignatius Press, it is designed to help everyone at all levels to grow in their faith. Formed is accessible anytime, anywhere on computers, tablets, or cell phones--for individuals, groups, and families. Subscription to this portal is free to all St. Robert's parishioners. New content is being added frequently. Important: do not sign up as an individual--the parish access code provides more content than the individual subscription. You are invited to watch The Wild Goose, a series of 14 video segments about experiencing the Holy Spirit. Set out on an adventure greater than you can imagine! Watch the videos by yourselves or with others in a group. Each segment is about 20-30” and stands on its own, but the first three give a foundation to the others. Stop by the parish office to pick up a free package of synopses for each segment (or we can mail to you). It will include discussion questions, a reflection, and key texts for each segment.